For optimal effect use the JACKY M. Mascara Brush before, during and after the lash treatment. These disposable Mascara Brushes have a compact oval head, which is easy to brush all lashes including those in the corner of the eyes. For optimal effect use the JACKY M. Mascara Brush before, during and after the lash treatment. These disposable Mascara Brushes have a compact oval head, which is easy to brush all lashes including those in the corner of the eyes. To keep practise sterile, use one disposable brush for each client. Lashes can be brushed individually. This creates more volume and length. Consider offering a few Mascara Brushes to each client to help them care for their eyelashes at home. 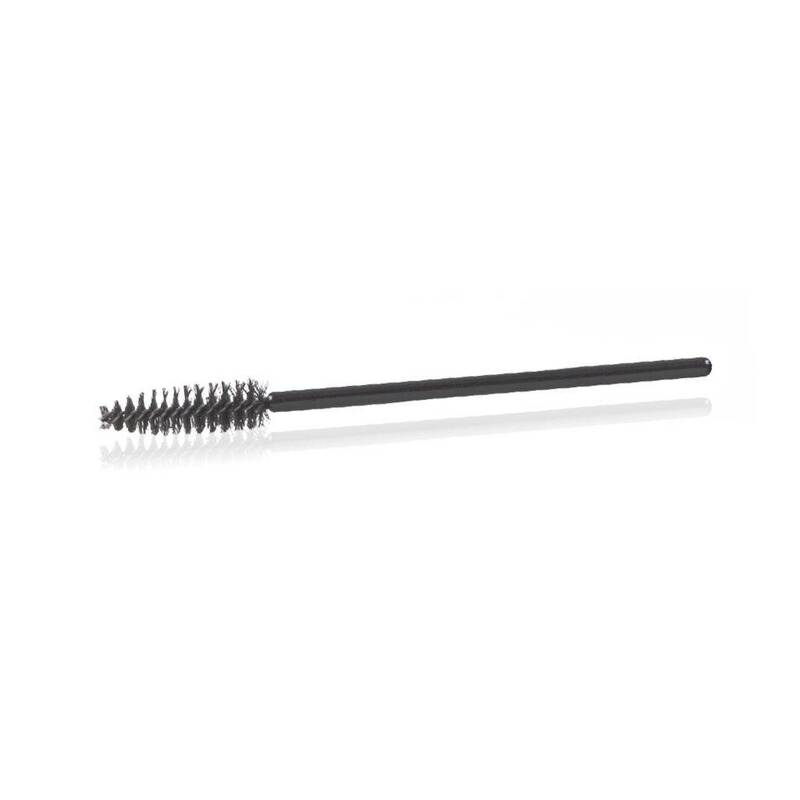 Use the Mascara Brush to neatly brush the natural eyelashes to determine the length and thickness of the eyelash. Make a note of the sizes on the intake. After the lashes have been cleaned and stuck down with the JACKY M. Nourishing Eye Patch, you can carefully brush the upper lashes. Depending on the lash treatment the Mascara Brush is used during and as a final step of the lash treatment to see if knots have formed.